Many of us instinctively reach for our phone when we can’t sleep. We aimlessly surf the net looking for distraction and relaxation, but at night our stresses and anxieties can multiply and become ‘monsters’ in our minds. Research shows that sharing problems and concerns aids relaxation and helps provide perspective. 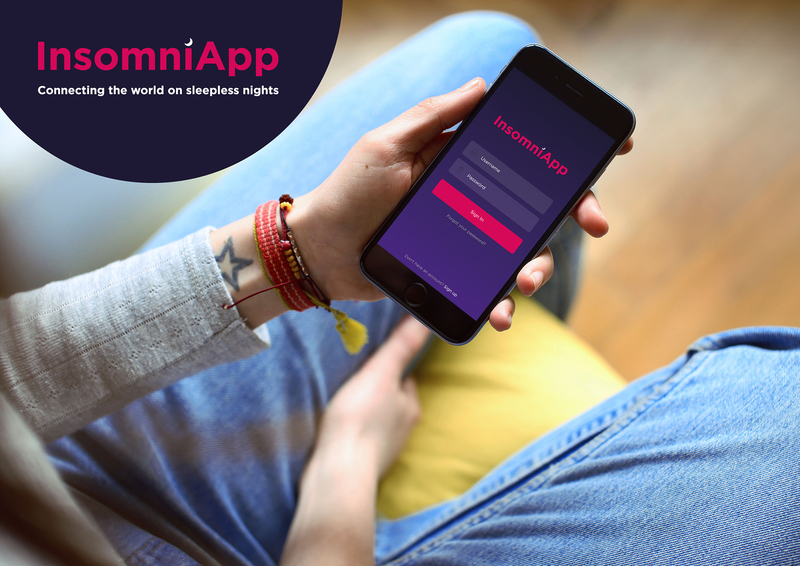 InsomniApp allows users to join a nocturnal community; a place to talk and share the worries that keep us awake and a place to meet fellow sufferers. Members can chat, or simply read others’ posts. Trusted friendships are made and regular late-night chat groups are formed.